Downtown Detroit was fairly slow on a Saturday afternoon, but we made do. My trip to Detroit this past weekend didn’t yield as much local brewery-hopping as I had hoped, but I still managed to squeeze in quite a few Michigan-brewed beers. More than I probably should have, actually. My notes by the end of the day were pretty sloppy. OK, really sloppy. 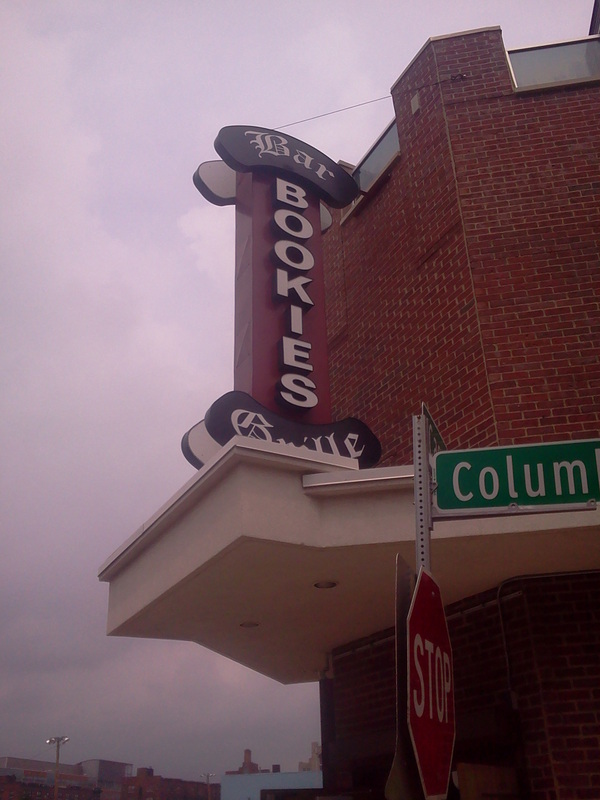 Luckily, some of the non-brewery places we hit had local stuff for us, particularly Bookies Bar & Grille downtown. We went there primarily because back in the day Bookies was home to Detroit’s punk rock scene – sort of a CBGB for the Motor City. Now, this is a different location than the original, but being a fan of Detroit rock, and in particular my pals The Romantics, my buddy Rob and I decided to stop in for a bite and some brews just to toast the descendent version of the bar. Saugatuck Brewing Company Singapore IPA (7% ABV, 72 IBU) – This beer was smooth and drinkable, with a medium hop bite and perhaps a tiny touch of apricot (?). Nothing earth-shattering, and a true hophead would probably not be terribly interested, but it worked just fine for me. Saugatuck Brewing Company Pathfinder (4.9%, 30 IBU) – Even though this one was a “lighter” ale, I actually liked the dryness of the mouthfeel and finish. It was less fruity and more edgy, which paired well with the Buffalo wings we ate, making my taste buds happy. Griffin Claw El Rojo (6.5% ABV) – Griffin Claw Brewing Company is a newly opened Birmingham, Mich., brewery, and this interesting red ale had a floral nose that I couldn’t quite place. The malts gave way to something I thought was vaguely melon-esque, but Rob said to him it hinted at pistachio. Clearly, by this point our taste buds were getting worn out. I blame the wings. Dragonmead Microbrewery Final Absolution Belgian Style Tripel Ale (8.5% ABV) – I confess I am not a particular fan of Belgian-style ales in most cases. This is a damn fine beer, but the ample banana, clove and honey turned off my palate. Nevertheless, this trappist-style ale had a very nice body and bold flavors that hit you from all angles. It packs a whallop, as well. 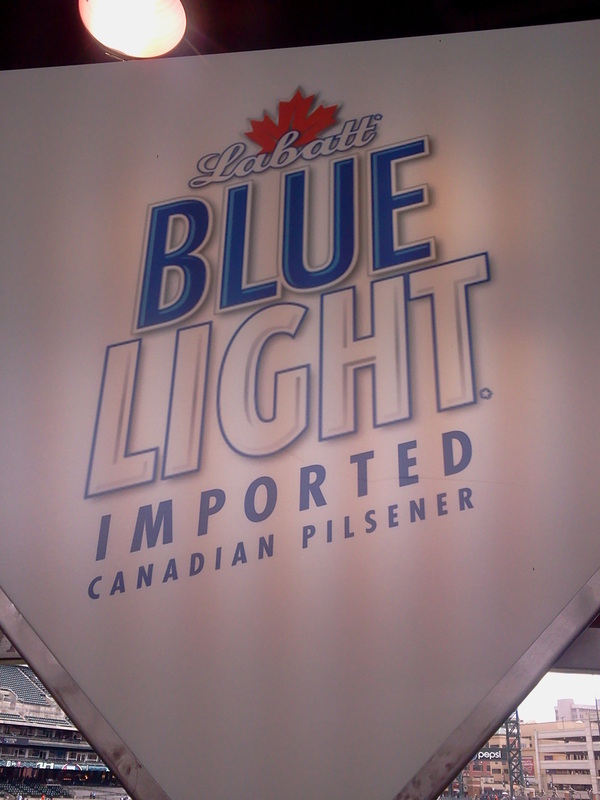 All in all, I’m rather glad we went the route of Bookies, which presented a nice regional beer list to go with the standards, including Labatt’s Blue and Labatt’s Light. Yeah, we ended up drinking a few of those too once we got to Comerica Park. When in Rome. Nevertheless, I came away with the sense that Detroit and the region have every bit the booming local brewing scene as the Louisville beer scene, even if the city itself is struggling right now.